Who’s Your Pick To Win The Republican Senate Primary? 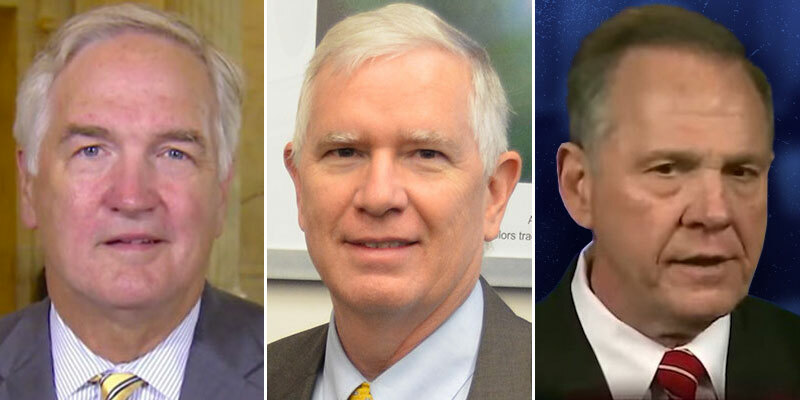 Reports far and wide seem to suggest that the U.S. Senate election is a three-horse race between Luther Strange, Mo Brooks, and Roy Moore. The scarce public polls have all the other candidates in single digits. If no candidate gets more than 50 percent of the vote on Tuesday, August 15, the top two will go head-to head in a runoff set for Tuesday, September, 26. Published polls have been few and far between so we want to know what you think? Your responses are anonymous, so “vote” in our poll below and tell us who think will come out on top August 15th. Women attendants of a Planned Parenthood rally try to keep dry after a sudden storm moved through the Tampa area on August 29. In a major setback for the pro-life movement, a U.S. Magistrate, Judge Susan Russ Walker, has struck down an Alabama law that required minors seeking an abortion to undergo a hearing where the fetus could be represented by a court-appointed lawyer. In doing so, the court sided with the American Civil Liberties Union, which argued the law was in defiance of constitutional standards. At the time of the decision, Alabama was the only state to have such a law in place. In her opinion, Judge Walker said that the law placed an “undue burden” on girls by allowing for a proceeding that breaches confidentiality. During such hearings, local district attorneys, witnesses, and others would be permitted to oppose a woman seeking an abortion. Walker also cited a recent ruling by the Alabama Court of Civil Appeals, which upheld the decision that a 12-year-old Alabama girl could proceed with an abortion after she was raped and impregnated by a family member. 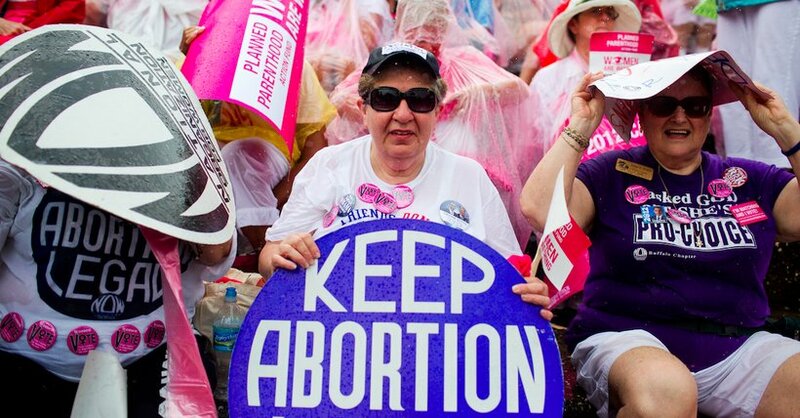 Abortion became legally protected after the Supreme Court contentiously ruled it was a right in 1973. However, the current standard is actually the “undue burden” test laid out by the court in the 1992 case of Planned Parenthood v. Casey. This simply means that states are permitted to pass anti-abortion regulations as long as those new laws do not pose an “undue burden” on pregnant women. States, like Alabama that require parental consent for abortions for minors, must also have a Judicial Bypass procedure in place. The bypass is a workaround for a minor seeking an abortion without her parents’ knowledge or consent. In this case, the state of Alabama had argued that the law was written to provide for “meaningful” inquiry into the minor’s ability to make an abortion decision, but that it was still a “confidential, and expeditious option for a teenager who seeks an abortion without parental consent.” The ACLU countered, arguing that Alabama’s law failed to meet the Casey standard because it placed an undue burden on the person seeking the abortion. The law gave local prosecutors the power to subpoena the minor’s teacher, neighbor, relative, or boyfriend to testify against the minor, which the ACLU saw as far from confidential. Judge Walker agreed that such a process violates the requirement that Judicial Bypass proceedings be effective, confidential, and expeditious. Walker was appointed by Bill Clinton in 1996 and her term expires in 2020. 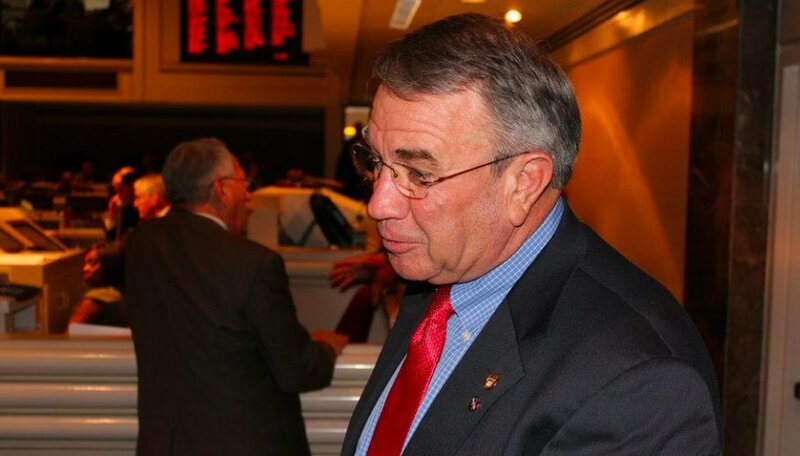 MONTGOMERY, Ala. — Alabama House Speaker Mac McCutcheon (R-Monrovia) announced several committee reassignments on Monday after conducting what many expected to be a routine review. The latest committee changes will stay in place for the remainder of the current legislative quadrennium or four-year cycle. The next organizational session of the legislature will not convene until 2019. • Rep. Prince Chestnut (D–Selma) will no longer serve on the State Government Committee and has been moved to the House Judiciary Committee. He will still sit on the Military and Veterans Affairs and Urban and Rural Development committees. • Rep. Danny Crawford (R–Athens) will now serve on the House Agriculture and Forestry Committee in addition to his service on the County and Municipal Government, Health and Urban and Rural Development Committees. • Rep. Juandalynn Givan (D–Birmingham) has been moved from the House Judiciary Committee to the House County and Municipal Government Committee. She will maintain her seat on the Constitution, Campaigns and Elections Committee. • Rep. Kelvin Lawrence (D–Hayneville) will sit on the House State Government Committee in addition to the Boards, Agencies, and Commissions and Economic Development and Tourism committees. • Rep. Tim Wadsworth (R–Arley) was moved from the House State Government Committee to the House Judiciary Committee. He will maintain his seat on the Children and Senior Advocacy and Local Legislation committees. • Rep. Jack Williams (R–Wilmer) has been moved from the Agriculture and Forestry Committee to the House State Government Committee. While these changes will stay in place until the start of 2019, McCutcheon said that more changes could come before the Legislature meets again at the start of next year. HOOVER, Ala. — A Hoover Police Officer went to heroic lengths yesterday to check submerged cars for potential flood victims. Officer TJ Denson jumped into the six-foot-deep waters on Deo Dara Drive with the intent to rescue people after he saw a vehicle under the water. He told the local Fox affiliate that he made the decision in an instant, without much consideration for his own safety. But he said that type of action just comes with the territory of being an officer. “It’s just something we’re asked to do when we’re put in those kind of situations,” he said. Luckily, it turned out no one was inside the underwater vehicle. But Denson’s lack of certainty caused him to check anyway, and he said that there is no question he would do it again. MOBILE, Ala. — The Mobile County Health Department confirmed a new case of Vibrio this week, marking the fifth such diagnosis of 2017. According to a report from the MCHD, Vibrio bacteria naturally live in certain coastal waters and are present in higher concentrations between May and October when water temperatures are warmer. Generally speaking, exposure to Vibrio Vulnificus is benign, but severe infections are possible for those with compromised immune systems. Out-of-control infections can lead to the phenomenon commonly known as flesh-eating bacteria. “Most soft-tissue infections occur with either injury or with conditions such as poorly controlled diabetes or low immunity. However, sometimes otherwise healthy people can develop a skin infection after skin injury and being exposed to natural bodies of water. 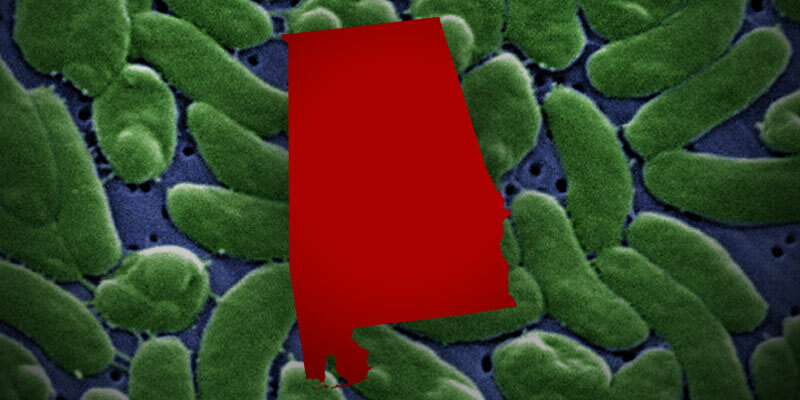 Some bacteria can cause more severe infections than others,” said Dr. Karen Landers, Assistant State Health Officer at the Alabama Department of Public Health. According to the Centers for Disease Control and Prevention, 80,000 people become sick with vibriosis, and 100 people die from their infection. Throughout the state of Alabama, the ADPH has officially reported 30 cases in the last 12 months. MONTGOMERY, Ala. — On Friday, Gov. 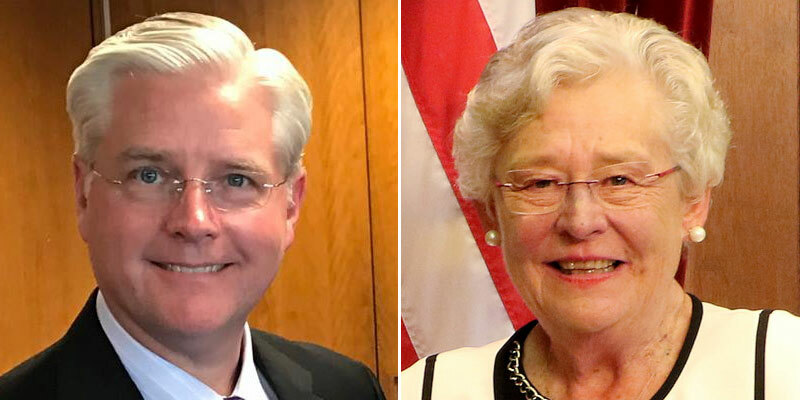 Kay Ivey (R-Ala.) awarded a grant to The Alabama Department of Public Health in order to help fund its electronic Patient Care Reporting system. The $60,000 will be used to improve the state program, which aims to track emergency medical services’ responses to calls. The standards to which Gov. 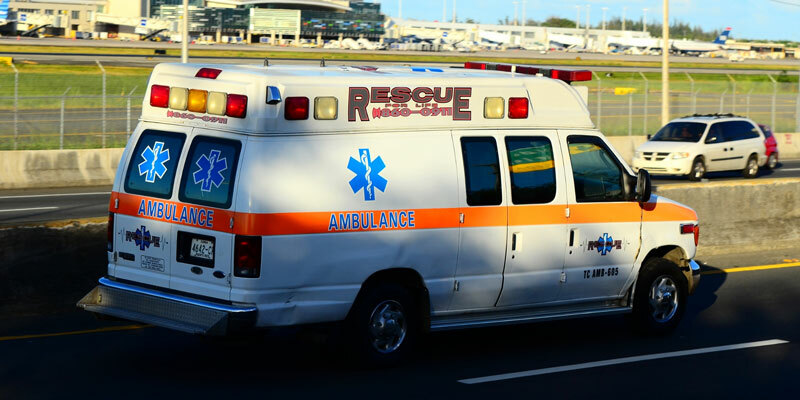 Ivey referred are put in place by the National Emergency Medical Services Information System, which operates under the umbrella of the National Highway Traffic Safety Administration. NHTSA awards the grant money to compliant states to be disbursed by their governors. 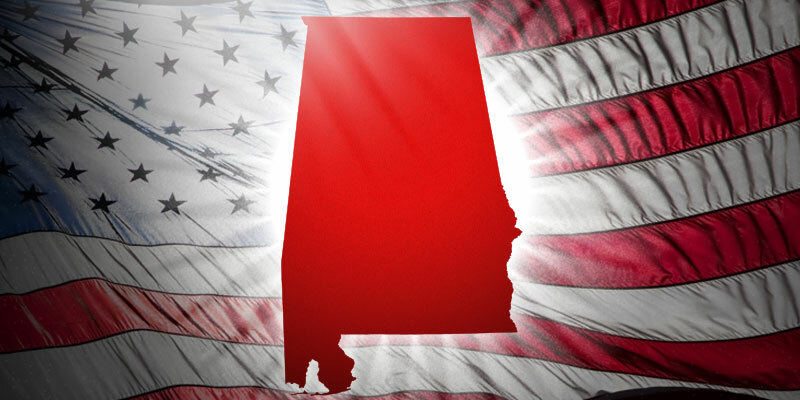 Alabama has abided by the national standards since 2007 and is currently compliant. The $60,000 will be administered by the Alabama Department of Economic and Community Affairs, which is responsible for implementing a wide variety of policy programs from law enforcement to energy conservation. TUSCALOOSA, Ala. — Seemingly more than most sports, the format of College Football is under constant attack from coaches and commentators who think they can fix the perceived inequalities in the system. The advent of the College Football Playoff has alleviated many criticisms regarding the fairness of the game, but questions still remain regarding the equity of scheduling. 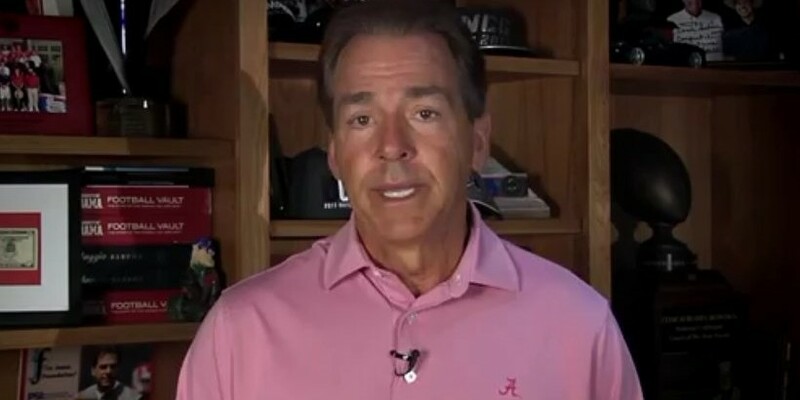 Nick Saban, the five-time national champion coach of the Alabama Crimson Tide, has an idea to make college football more uniform. During his run through the ESPN Car Wash yesterday, Saban proposed eliminating non-power five opponents from power-five team schedules. Saban compared the current situation in college football to what goes on the NFL. In College football, Saban noted, there are few opportunities for apples-to-apples comparisons of teams in different conferences. In the NFL, teams play all of their games against each other, rather than playing a game or two against a CFL team. Alabama starts its season against another college football juggernaut: Florida State. Every year since 2008, the Crimson Tide have opened up their season with a major non-conference opponent. Saban said that there is a method to the madness. Alabama and Florida State face off in the season opener on September 2. The game will be aired on ABC at 7 p.m. CST. Tickets for the showdown have already sold out. 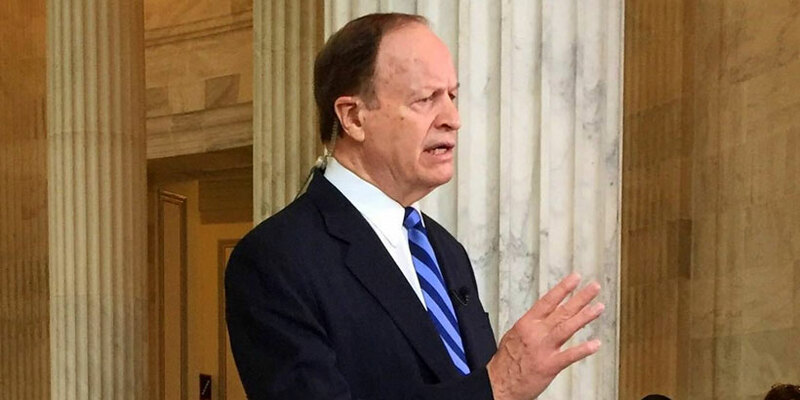 WASHINGTON, D.C. — Although he wants to see more facts to further evaluate the situation, Sen. Richard Shelby (R-Ala.) appeared to support the inclusion of all willing people in the U.S. Military during a Wednesday afternoon interview on CNN. “You ought to treat everybody fairly and give everybody a chance to serve,” Shelby said on CNN’s Newsroom. CNN’s questioning stemmed from President Donald Trump’s announcement of a ban on transgender individuals in the U.S. Military. The president made his declaration Wednesday morning in a series of tweets. Shelby reiterated throughout the several-minute segment that he would like to carefully evaluate the new policy. However, he did note that it appeared to be a shift from traditional U.S. protocol. Shelby clarified his statements with Yellowhammer, expressing confidence in and deference towards our nation’s military but said that the door should be open for all capable individuals to serve in the armed forces. After speaking with U.S. Health and Human Services Secretary Tom Price, Gov. Kay Ivey (R-Ala.) announced her support of the Alabama Medicaid Agency’s move away from Regional Care Organizations and towards a more low-risk option. RCOs are managed care systems located throughout the state that provides various healthcare services to most Alabama Medicaid enrollees. Under the guidance of the state Medicaid agency, they provide services at an established cost to Medicaid patients. They were created by state legislation in 2013 as a means to shift Medicaid from fee-for-service system to a higher quality payment system. Likewise, Ivey pointed to the increased Medicaid flexibility allowed by the Trump Administration and how that freedom has opened up the door to new implementation possibilities when announcing her decision to support the move. Alabama Medicaid Commissioner Stephanie Azar announced the move Thursday morning, citing new and potential regulation changes from the Trump administration. “While the financial implications could be challenging for our state, the new flexibilities and waiver options that the Trump administration is willing to consider gives our state Medicaid program new options to accomplish similar goals without incurring the same level of increased upfront costs associated with the RCO program,” Azar said. Medicaid is by far the largest annual expense in the state’s general fund budget. In the last fiscal year, one million Alabamians received Medicaid benefits at a state cost of $700 million. 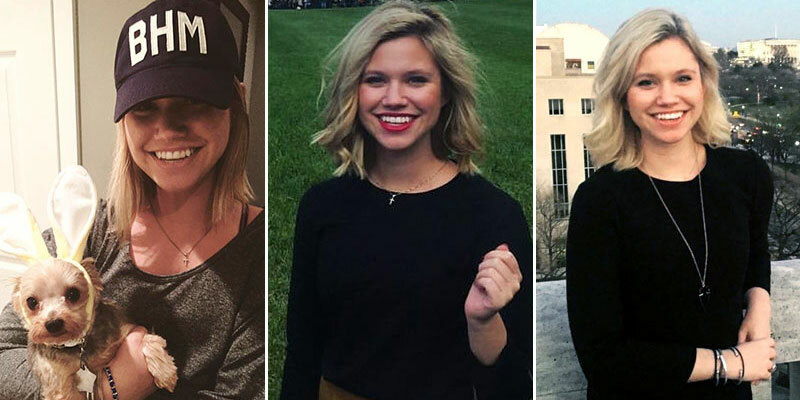 WASHINGTON, D.C. — Every year, The Hill publishes a list of the 50 most beautiful people working in our nation’s capital. 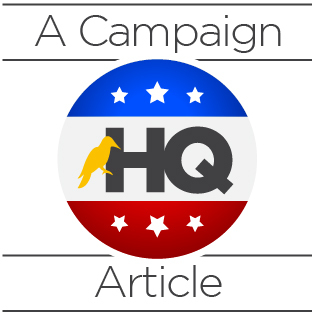 From staffers to senators, the web magazine considers anyone and everyone working in government for a coveted spot on the list. 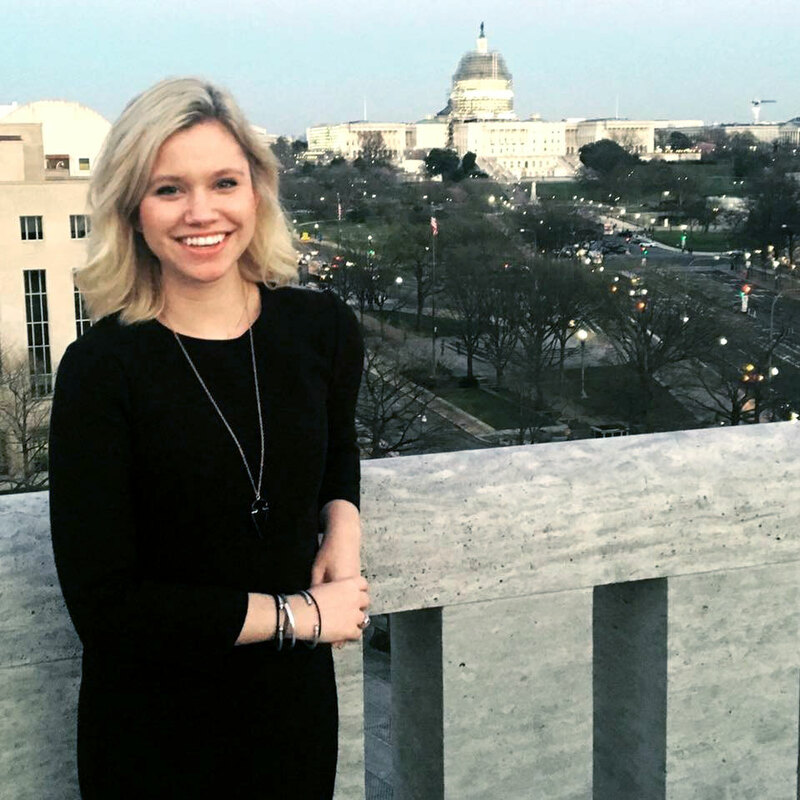 This year, Alabama’s Cate Cullen, the Communications Director for Rep. Gary Palmer (R-AL 6), earned a slot as one of the 50 Most Beautiful. Although she now works in the heart of the Yellowhammer State, her family’s Air Force background allowed her to see the country and the world as she grew up. Cullen’s Air Force background allowed her to see the country and the world as she grew up. Although she lived in many places around the globe, she’s determined that Birmingham, Alabama is her true hometown. She lived there for five years after moving from Japan with her mother. 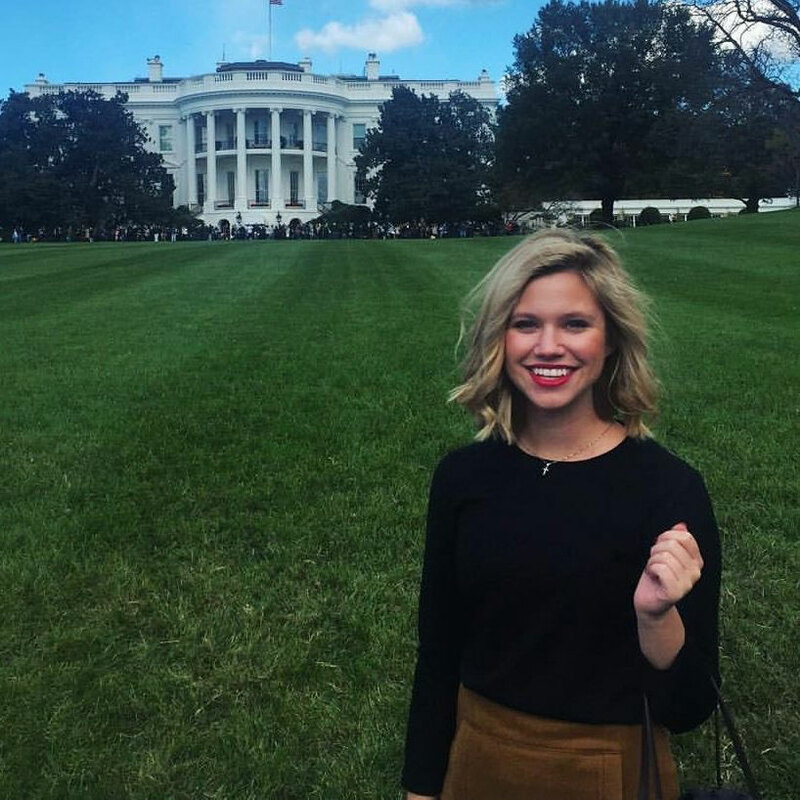 Though she now works with Rep. Palmer in D.C., she still likes to visit exotic places with her father. But even then, she has a hard time keeping away from the political grind. “I’m ashamed to say that I was working on the beaches of Mexico,” she told The Hill. Cullen has worked for Palmer since February of 2016. Prior to that, she worked as a press assistant for the U.S. House Committee on Homeland Security. She holds a Bachelor’s Degree in Media Marketing from Birmingham-Southern College. WASHINGTON, D.C. — U.S. Attorney General Jeff Sessions announced late on Tuesday that there are now new guidelines that so-called “Sanctuary Cities” must meet if they are to receive federal law enforcement grants. Among these are the requirements that the cities must completely open their jails to federal immigration authorities and alert the proper departments when someone eligible for deportation is released. Both Sessions and President Donald Trump have long been critical of Sanctuary Cities. The Department of Justice believes that by threatening funds — which are used to pay for everything from police body cameras to bulletproof vests — the behavior of localities will change. In February, the Birmingham City Council voted unanimously to become a sanctuary city, despite state law which prohibits cities from refusing to comply with federal directives on immigration. Gov. Bentley (R-Ala.) issued a strong rebuke of Birmingham’s decision and said that the state would not support such a venture. The federal government does not consider Birmingham a sanctuary city at this time. 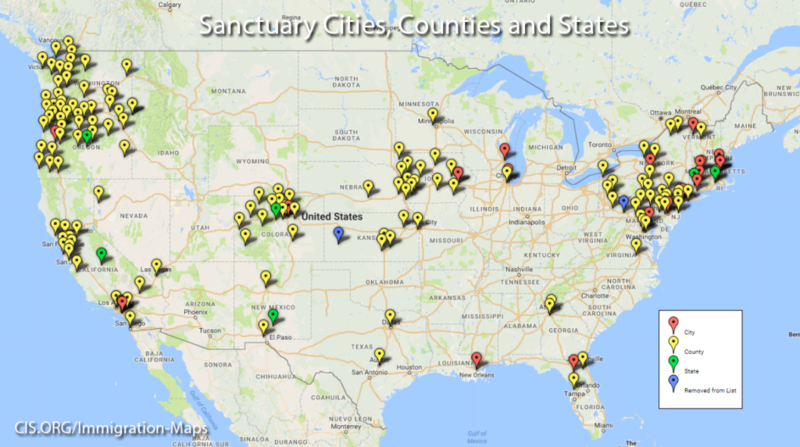 The Center for Immigration Studies compiled a map of every sanctuary state, county, and city in the United States, and they are too numerous to list. A full breakdown of the sanctuary jurisdictions in the country can be seen here. 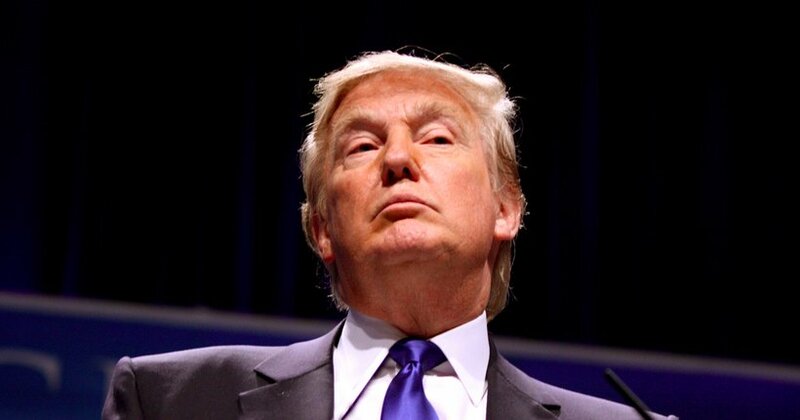 WASHINGTON, D.C. — In an interview released yesterday by The Wall Street Journal, President Donald Trump said that he is “looking at” firing Attorney General Jeff Sessions. Evidence of Trump’s frustration became public last week when he attacked Sessions in a New York Times interview over the Attorney General’s decision to recuse himself from the Russia investigation. The attacks continued on Monday, with Trump taking a jab at the Department of Justice and calling Sessions “beleaguered.” On Tuesday, he tweeted two more attacks criticizing Sessions for being “very weak” on investigations surrounding Hillary Clinton. 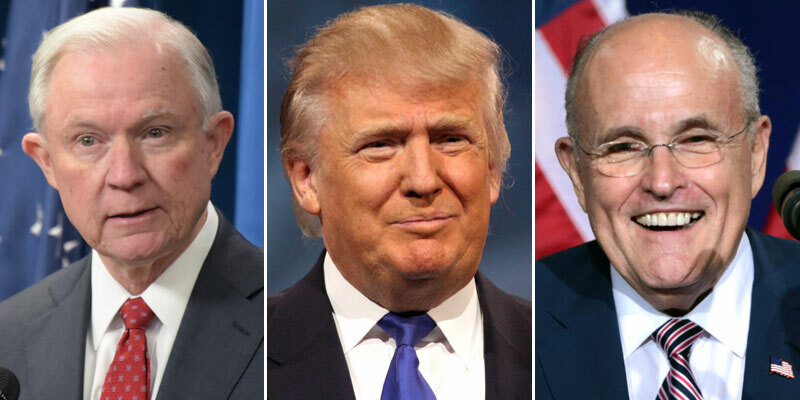 Various reports have tied potential replacements to the job of Attorney General, including former New York Mayor Rudy Giuliani and Sen. Ted Cruz (R-Tex.). Giuliani, however, explicitly said he is not being considered, and he added that Sessions did the right thing by recusing himself from the Russia probe. Sessions has been one of Trump’s closest political allies since before Alabama even held its primary. Sessions was the first U.S. Senator to endorse Trump and then served in an advisory capacity for his campaign until his victory. Fox New’s Tucker Carlson recently highlighted this relationship on his primetime program and called for the president to stop attacking “one of the very few” friends he has in Washington. Despite the whirlwind of pressure, Sessions said late last week that he will continue to serve “as long as that is appropriate. With a relationship with the White House that is quickly turning sour, Attorney General Jeff Sessions received strong backing this morning from a longtime ally on Capitol Hill: Sen. Richard Shelby (R-Ala.). Other members of Alabama’s Congressional Delegation have expressed their support for Sessions as well. Rep. Martha Roby (R-AL2), who has long considered Sessions a mentor, came out vigorously defending his character. When it comes to the president, however, the hits just keep on coming. Early this morning, President Donald Trump tweeted two new attacks on his Attorney General Jeff Sessions, this time criticizing him for being “very weak” on investigations surrounding Hillary Clinton. So why aren’t the Committees and investigators, and of course our beleaguered A.G., looking into Crooked Hillarys crimes & Russia relations? Axios has reported that the president is openly considering the possibility of replacing Sessions with another long-time Trump ally. West Wing sources told the news outlet that Trump is so unhappy with Sessions that he wants to swap him for fellow New Yorker Rudy Giuliani. The former New York City Mayor strongly supported Trump throughout the 2016 campaign. Later Monday evening, Giuliani told news outlets he was not being considered for AG and that Sessions “made the right decision under the rules of the Justice Department” regarding recusal. Alabama’s State Parks are now on the national radar thanks to 17 awards given out by the website TripAdvisor. 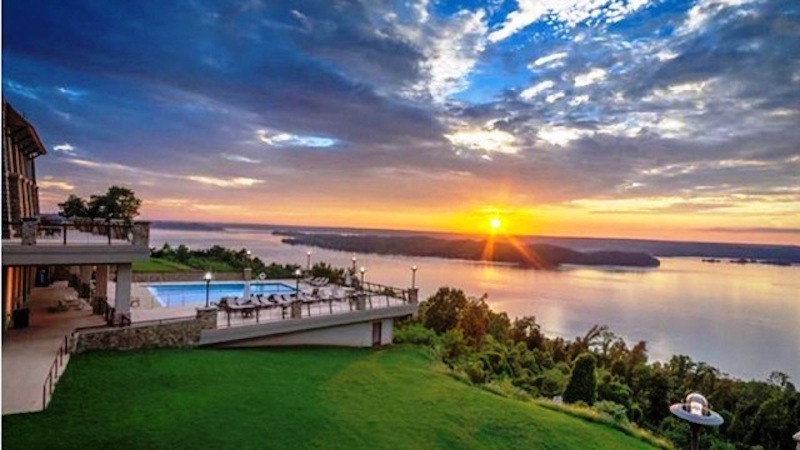 The online travel reservation giant awarded 11 different Alabama parks with honors recognizing their natural beauty and man-made accommodations. The State of Alabama operates and maintains 22 state parks covering more than 48,000 acres of land and water. 80 to 90 percent of the operating costs are covered by visitor fees rather than taxpayer dollars. 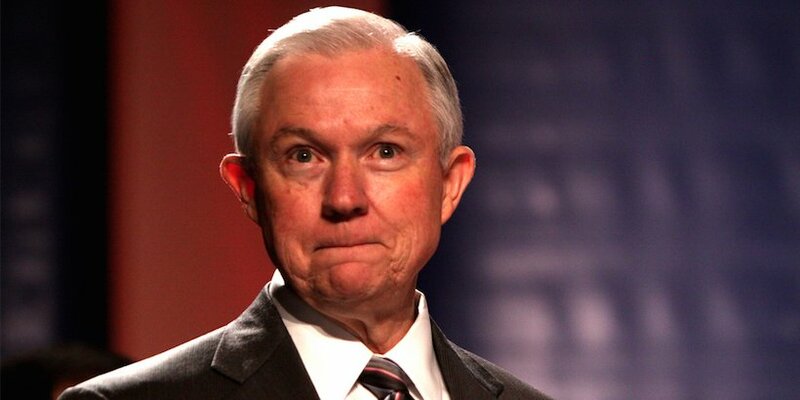 After a rough week for the relationship between President Donald Trump and Attorney General Jeff Sessions, Axios has reported that the president is openly considering the possibility of replacing the Alabamian with another long-time Trump ally. West Wing sources told the news outlet that Trump is so unhappy with Sessions that he wants to swap him for fellow New Yorker Rudy Giuliani. The former New York City Mayor strongly supported Trump throughout the 2016 campaign. The race to replace U.S. Attorney General Jeff Sessions in the Senate is in full swing, and Alabamians that want to participate in the electoral process must ensure they are registered by the end-of-the-month deadline. With the primary elections taking place on August 15, the official cutoff for voter registration is July 31. Alabamians can check their registration status on the Secretary of State’s website. A new window for registration will open up before the General Election, which will take place on December 12. Both the Republicans and Democrats face crowded primary fields. In the GOP, Bentley-appointee Luther Strange is trying to keep the seat, while Rep. Mo Brooks (R-AL5), former Alabama Chief Justice Roy Moore, State Sen. Trip Pittman (R-Montrose), Randy Brinson, Bryan Peeples, James Baretta, Joseph Breault, and Mary Maxwell are battling to take it away. The Democratic Primary features former U.S. Attorney Doug Jones, activist Michael Hansen, Will Boyd, Vann Caldwell, Jason Fisher, Robert Kennedy, Jr., and Charles Nana. Even after registration, Alabama voters are still subject to the state’s voter ID law. Upon checking-in at their precinct, voters must present one of the pre-approved forms of identification, such as an Alabama driver’s license. If someone does not have one of the approved forms of ID, he or she may apply to get one from the state for free. Alabama voter registration and turnout hit near-record levels in 2016. 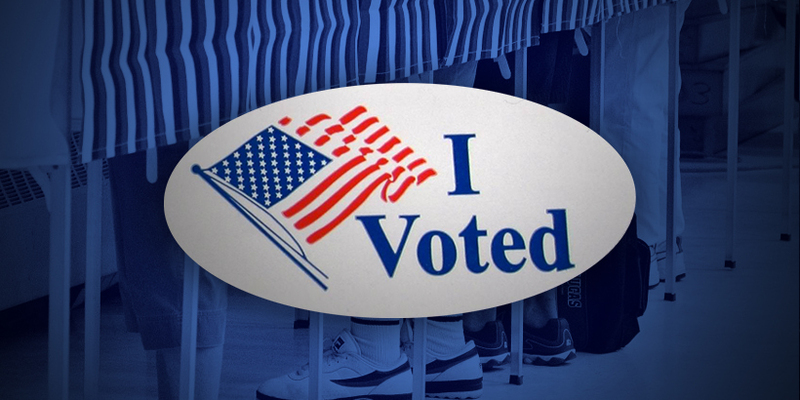 Last November’s voter turnout was the third highest in the state’s history at 61.97 percent. The highest voter turnout ever recorded occurred in 2008, when it hit 72.8 percent. TUSCALOOSA, Ala. — For the second year in a row, Marvel Comics teamed up with ESPN to create an epic comic book cover to promote the start of the college football season. While last year’s covers hyped up major early-season match-ups, this year’s features the first three College Football Playoff National Champions, including the Alabama Crimson Tide. 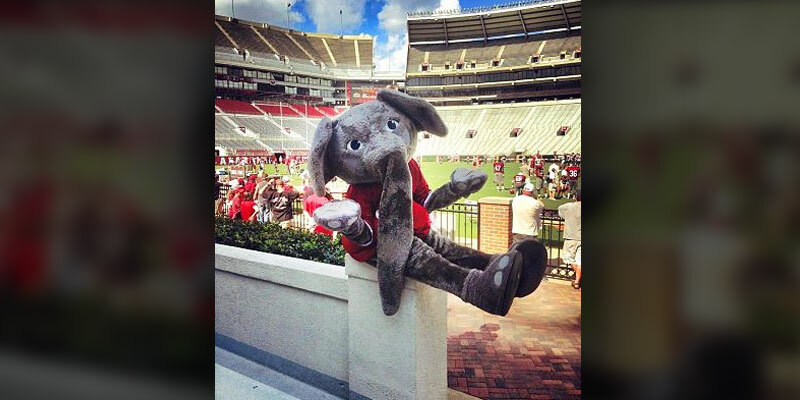 The Tide are represented by their elephant mascot, Big Al. While usually quite adorable, this version of Big Al looks ready to dominate the gridiron. Big Al is joined by the mascots of the two other schools to win the CFP Championship: Ohio State and Clemson. Alabama is the only team to qualify for all three playoff fields, winning one and losing to the other two eventual champions. At SEC Media Days in Hoover last week, the Tide were picked to win their fourth consecutive SEC Championship by those in attendance. Vegas also has Alabama listed as one of the favorites to claim the national championship. Coach Nick Saban’s squad kicks off its season in Atlanta against the Florida State Seminoles on September 2. The game will be aired on ABC at 7 p.m. CST. Tickets for the showdown have already sold out. 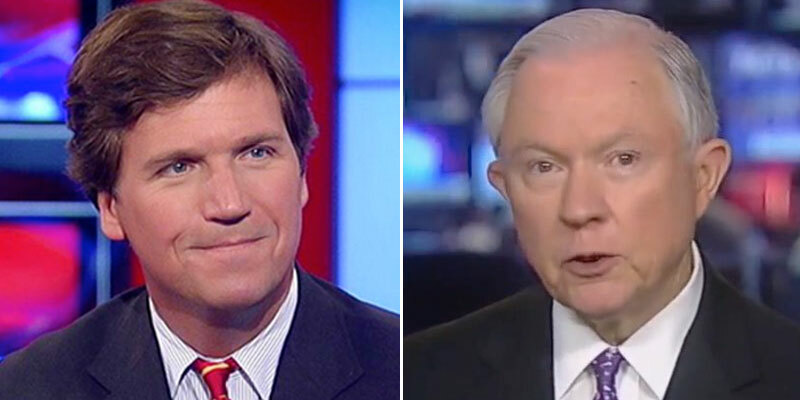 WASHINGTON, D.C. — During the opening monolog on his eponymous Fox News show last night, Tucker Carlson told President Donald Trump to stop attacking Attorney Jeff Sessions, as he recently did in an interview with The New York Times. Earlier this week, President Trump expressed his frustration with Sessions over the Attorney General’s decision to recuse himself from the Russia investigation. 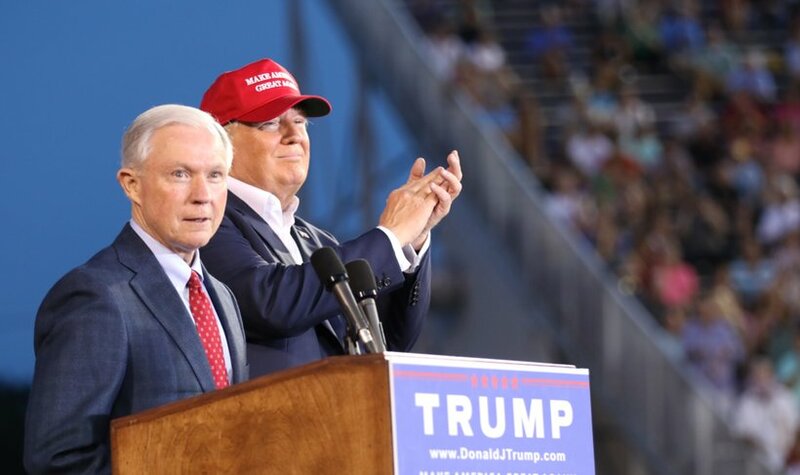 The apparent deterioration of the Trump-Sessions relationship follows the close partnership during the Republican Primary and the 2016 General Election. Sessions came out as the first U.S. Senator to endorse Trump and then served in an advisory capacity for his campaign until his victory. 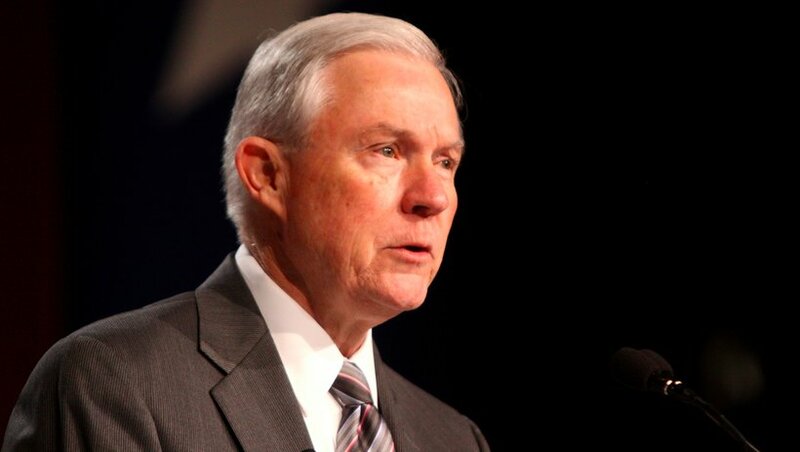 WASHINGTON, D.C. — At a press conference today, U.S. Attorney General Jeff Sessions announced the takedown of one of the Dark Web’s largest illegal drug vendors: AlphaBay. According to a staff member, AlphaBay claimed to service more than 40,000 illegal vendors and 200,000 customers. The Dark Web is a collection of hidden websites that masks users identities and locations. It is the source of many black market activities, including the traffic of opioid drugs. According to the Justice Department, AlphaBay contained more than 250,000 listings for illegal drugs and toxic chemicals at the time of the takedown. The same report shows that 122 vendors advertised fentanyl and 238 advertised heroin. Over the past several years, the Opioid Epidemic has taken the U.S. and Alabama by storm. Between 2006 and 2015, 5,128 Alabamians died from prescription painkiller overdoses. According to the most recent data, Alabama outpaced every other state in the number of opioid perceptions written in 2015 with 5.8 million. The Center for Disease Control and Prevention reports that the Yellowhammer State’s per capita ratio for opioid prescriptions is 1.2 prescriptions per person, which is higher than the national average of 0.71. “The ability of these drugs to so instantaneously end promising lives is a reminder to us all of just how incredibly dangerous these synthetic opioids are — especially when they are purchased anonymously from the darkest places on the internet,” Sessions said. At the end of his conference, Sessions called the AlphaBay case “one of the most important criminal cases of the year.” He hopes that the public bust of the Dark Web site will send a strong message to those illegally trafficking drugs online. Sessions’ response comes a day after President Donald Trump expressed his frustration with Sessions over the Attorney General’s decision to recuse himself from the Russia investigation. Humans have a primal fascination with sharks. From box office smash-hit movies to Discovery Channel’s popular “Shark Week,” people just cannot seem to get enough of the ancient underwater beast. If you’re reading this from somewhere in Alabama, there is a solid chance that a shark swam not far from where you are sitting many geological eras ago. Believe it or not, Alabama has spent most of its geologic history beneath a shallow ocean ruled by creatures of the deep. Due to its aquatic past, the Yellowhammer State is actually one of the best places in the United States to find fossilized shark teeth. 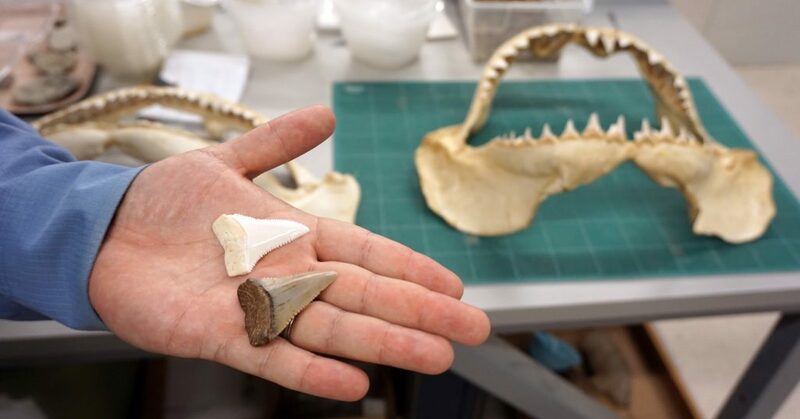 According to a recent report published by researchers from Birmingham’s McWane Science Center, the Geological Survey of Alabama in Tuscaloosa, and South Carolina’s State Museum, scientists have discovered and identified the first early Ice Age shark teeth found in Alabama. The scientists have determined the teeth are somewhere in the ballpark of 2 to 2.6 million years old. 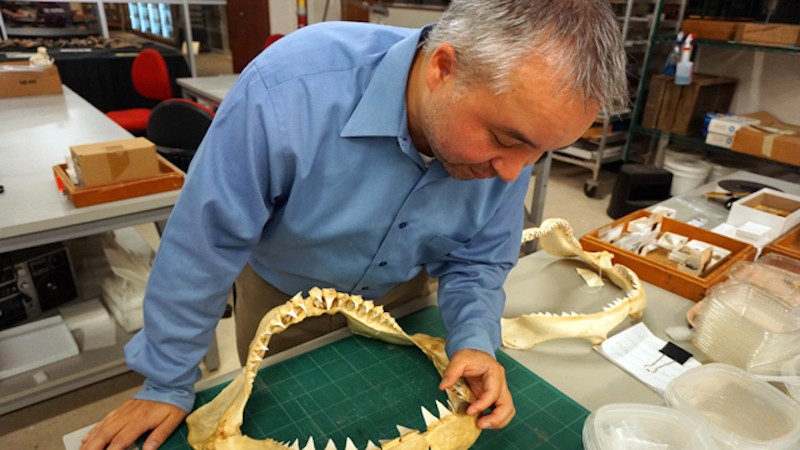 Jun Ebersole, paleontologist and Director of Collections at McWane Science Center, heard anecdotal evidence about fossilized shark teeth discoveries on Alabama’s Dauphin Island for a while. He eventually contacted Richard Dixon, director of the Dauphin Island Sea Lab, who had collected almost 100 teeth over the years. The research team returned the teeth to the Dauphin Island Sea Lab, where they can be revisited for future research and educational purposes. Ebersole hopes the non-professional discoverers of such artifacts will follow his example. FULTONDALE, Ala. — Wide Receiver ArDarius Stewart made the jump to the NFL this offseason, and like many of his former Crimson Tide teammates, he cashed in a big paycheck. But instead of spending all of his newfound wealth on himself, Stewart used $15,000 to pay for new helmets for the Fultondale High School Football team. Before suiting up for The University of Alabama, Stweart took the field for the Fultondale Wildcats as a quarterback, running back, and wide receiver. The currents players at FHS told ABC 33/40 just how grateful they were for the donation from one of the school’s most successful alumni. Ardarius stressed to 33/40 the importance Fultondale has played in his life. Because of this impact, he was more than happy to pay it forward. 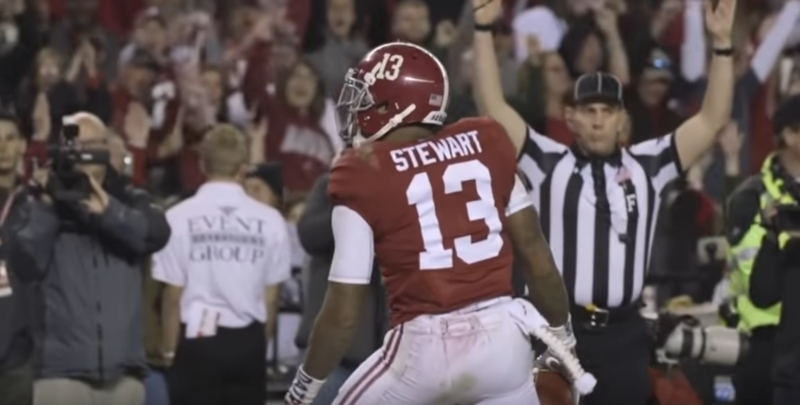 During his time at Alabama, Stewart became notorious as a big-play threat, and he operated as a dynamic weapon in Lane Kiffin’s spread attack. In his last season with the Tide, he had 54 receptions for 864 yards and nine touchdowns. The New York Jets drafted Stewart in the third round with the seventy-ninth overall pick. His rookie deal will pay out $3.25 million over four years. 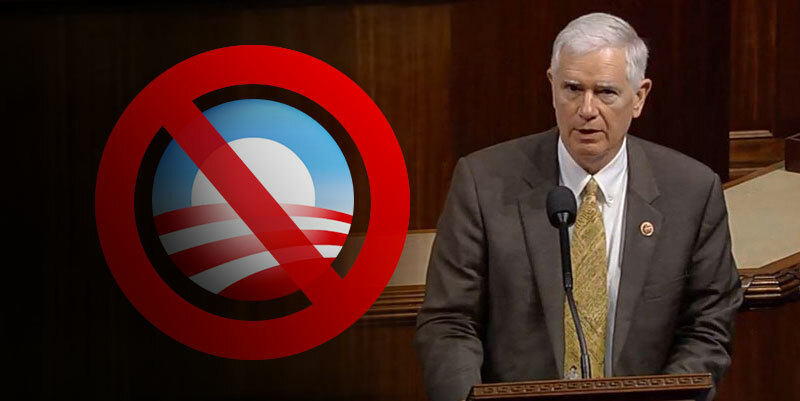 WASHINGTON, D.C. — In light of the recent failures of U.S. Senate Republicans to roll back President Barack Obama’s liberal policies, Rep. Mo Brooks (R-AL5) is calling for the upper chamber to abolish the filibuster rule. The filibuster is a procedural rule in the Senate that allows for minority members to block or stall legislation they oppose. First used in 1837 and strengthened in 1975, a legislative filibuster can only be broken by invoking cloture, which requires 60 votes. Republican Senators, such as Rand Paul, used the tactic under the Obama Administration, and now Democrats are doing the same to stall President Donald Trump’s agenda. “Our Republican Senate majority is killing our conservative agenda, our Republican agenda, and President Trump’s agenda. The murder weapon is the Senate filibuster rule, an archaic accident of history created during the days of horse and buggy, and slavery,” Rep. Brooks said on the House floor this morning. On November 21, 2013, Democrats instituted a rule change lowering the requirement for cloture to only 51 votes for all debates on executive and judicial nominees (excluding Supreme Court nominees). During the recent struggle to confirm Supreme Court Justice Neil Gorsuch, Republicans struck back by applying the same rule to Supreme Court nominees. The traditional filibuster is still in place for debates over Senate legislation. Brooks, who wants to be the latest Alabamian to represent the state in the Senate, believes the historical scale has always tipped in the Democrats’ favor. To the North Alabama Representative, the issue is a timely one instrumental to ensuring the passage of Trump’s agenda. Like Brooks, Trump is a strong opponent of the filibuster, and he has taken to Twitter to express his frustration. On a trip I took earlier this summer, I was fortunate enough to have the opportunity to visit New York City. I had never been there before, and a close personal friend offered to show me around. Leading up to the trip, he tried to describe the city to me as a “concrete jungle” and “the big apple,” but these phrases hardly do the city justice. New York was unlike anything I’d ever experienced. It was loud, it was crowded, and it moved at a million miles a minute. The Empire State Building, Freedom Tower, Rockefeller Center — all testaments to the accomplishments of the human race — hover above the city like sentinels seen from miles away. The people from all walks of life sprint through the streets and bump into you, often without even noticing. It was a marvel to behold. While New York is a fascinating place to visit for a few days, I could never live there. A city that never sleeps makes a soul grow tired, and it made me happy to return to my home in the Heart of Dixie. I’m writing in defense of my home state, jokes about which have always been low-hanging fruit for comedians and so-called local political “commentators” that seem to get a rise out of kicking people they perceive as inferior. Most recently, NBC ranked Alabama the worst state to live in, adding on to the pile of negative press. As a non-native Alabamian, however, I defend it from a unique perspective, as my family has chosen to live here not as a consequence of birth but by choice. My family moved to Alabama shortly after I turned 13. Needless to say, as a young boy who had never lived anywhere outside of South Florida, I was not exactly pleased with the prospect. The first image that popped into my head was akin to the caricature of a hillbilly living off the grid and jamming to the tune of “Dueling Banjos.” I knew I was in for a culture shock, and it was a culture that I had been conditioned to think of as regressive and intolerant. My family and I certainly experienced culture shock, but in a way that we failed to anticipate. Locals welcomed us with the utmost southern hospitality, always responded with a polite “yes, sir,” or “no, sir,” and treated us like family. Although we certainly have more land between my neighbors now than I did when I grew up, there is certainly less distance. Alabama unfairly gets a bad rap, but then again I’m told that life is not fair. But the people in Alabama are amongst the kindest, most giving, and most hardworking of any that I’ve met across this great country. It’s a heck of a place to live, and that’s the God’s honest truth. Alabama is fourth in the nation in cost of living, according to U.S. News and World Report, but the state’s critics won’t tell you that. Alabama ranks in the top half for housing affordability, but the critics won’t tell you that. The state also ranks highly in pre-K quality, infrastructure, renewable energy usage, and several other things, but you’ll never hear about any of those positive numbers because they don’t make for a good punchline. Not to beat a dead horse, but Alabama’s culture is just hard to beat, and we often take it for granted. When it comes to sports, it’s hard to find a more compelling matchup any year than the Iron Bowl. Between the Alabama Crimson Tide and the Auburn Tigers, the state has sent a representative to compete for the national championship every year since 2009. Also, how quickly we forget the role that Alabama played in the formulation of some of the country’s biggest musical hits. Aside from native legends like Hank Williams, Sr., countless stars have recorded albums at Muscle Shoals Sound Studios, with the Swampers (they’ve been known to pick a song or two). And let’s not forget the element that makes Alabama such a special place: its faith. A 2016 Pew Research Poll found that Alabama is the most religious state in the union. A similar study from Gallup in 2015 found that Alabama ranked third in frequent church attendance, with 47 percent of respondents stating they attend church weekly. During my time in the Yellowhammer State, I have lived a safe, productive life, earned two degrees from a world-class University, met countless friends, and found community. Because of the culture, low cost of living, and low taxes I plan to live here for a long, long time. This does not mean that I believe Alabama is perfect. It is not. And anyone who tells you that their home is immaculate lives in a fool’s paradise. Alabama can do a lot to move forward. But those who are the state’s staunchest critics believe that government — not everyday people — can do this, and they are dead wrong. All that is to say that I really don’t care much what those people think about Alabama. If they want to spend their lives trying to change people that do not want to change, that’s their prerogative. So bring on the barbecue and the college football. Bring on the “Yes ma’am,” and the Sunday morning service. Bring on the lake days and the hunting season. You can keep your skyscrapers; I’ll keep my Alabama. 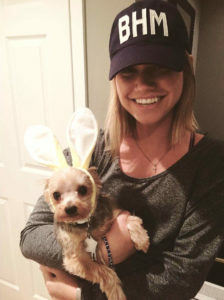 Jordan LaPorta is an Alabama resident and a law student at the University of Alabama. He holds a B.A. in History and Political Science from UA and graduated from Hoover High School in 2013. He has written news articles and commentary for Yellowhammer News since 2015.